Today’s guest post is brought to us by Roy G. Miller, president of RGM Communications. Paul Simon’s lyrics say there are 50 ways to leave your lover. Our version of the tune is a tad different. Focused on your small business, it’s 5 Ways to Leave Your Cover. For many executives and businesses, being “undercover” or “under the radar” is standard operating procedure. It’s a conscious decision to keep a company under wraps. For others, it’s just the way it is because they don’t understand the value and validity of marketing, public relations or social media, or even how to get started. The following tips will help you leave your cover. Go ahead, break out, build that company brand, increase market share, build trust and credibility, and more. Think business first. 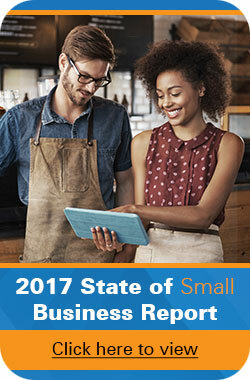 Review your business plan and goals for the year. How can communicating to key audiences help advance your corporate growth and goals? Have you analyzed your marketing mix? Do you have consistent marketing or PR programs in place? Engage your employees. Talk with them. Get in front of them. They’re your most loyal champions or your worst enemies. They know the ups and downs–the good, bad and ugly. If you put employees first, not only will you discover a bounty of great success stories, you’ll find that employees care more, work harder and feel more connected. Talk to your customers. The best PR program in the world is free–it’s talking to your customers. Ask for straight talk about company pros and cons, strengths and weaknesses. You can even develop a customer questionnaire that gives them the liberty to talk candidly about service, quality, pricing, personnel, satisfaction and more. Delegate. If you’re too busy, too disinterested or just overwhelmed, find a quality resource that can take your business goals and transform them into marketing and PR initiatives that ensure clarity, consistency and quality. And results. Get exposed. This requires persistence and consistency. Whether you’re focused on speaking opportunities, being featured in a newspaper or magazine, or just doing a better job communicating with employees, it’s time to share the story, showcase success and interact among the people who matter–those who contribute to making your business exist, operate and prosper. Many companies don’t leverage co-marketing opportunities with partners. For example, I write white papers for small businesses who team up with larger players and co-brand the final document. It’s a very inexpensive and effective way to get into a larger company’s marketing channel and capitalize on the PR and publicity that it generates.